Fall in love with this exclusive applique alpha! 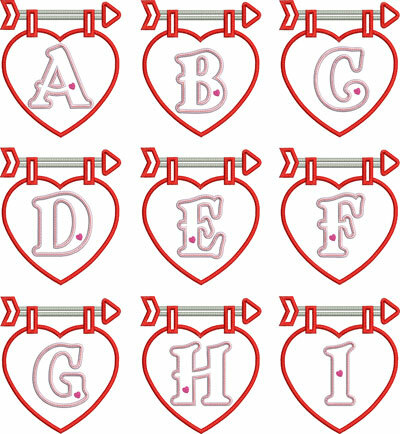 Featuring large heart banner and an applique letter. Capital letters A thru Z.
Sizes included: 4x4, 5x7, 6x10 and Durkee 9x9 Hoop. Fall in love with this exclusive applique alpha! 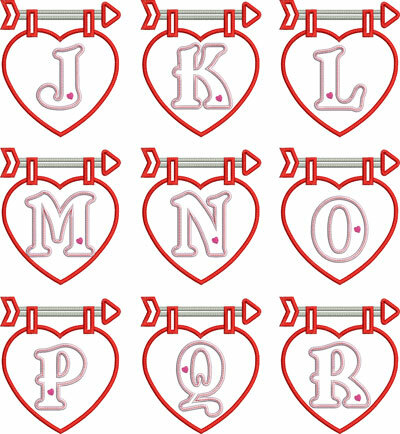 Featuring a large heart banner and an applique letter. Embroidery Font (the name Ellie) is available as a separate purchase. 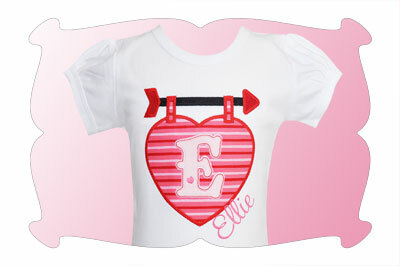 Please See Ellie Script Embroidery Font. 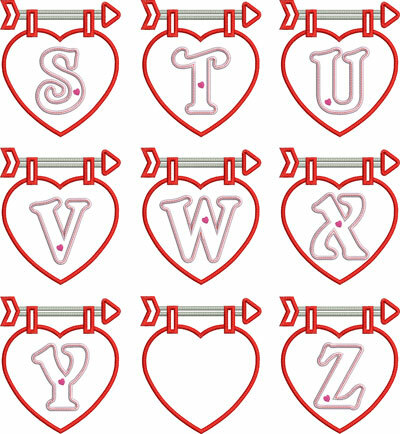 The Valentine Applique Alphabet comes in 4 sizes! 4x4, 5x7, 6x10 and Durkee 9x9 Hoop. All sizes included with your purchase!